November 3, 2014  Ryan Boyette arrived in the Nuba Mountains more than a decade ago and has made it his mission to document abuses he says the government carries out with regularity. October 4, 2014  Ger Duany lived through his country's civil war and was forced to become a child soldier. Now he's in America, starring opposite Reese Witherspoon in The Good Lie, a film that mirrors his life. 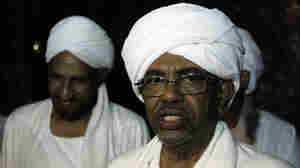 Will The U.S. Grant A Visa To Sudan's Indicted Leader? September 20, 2013  The U.S. is supposed to allow everyone to come to the annual United Nations General Assembly, which opens next week. 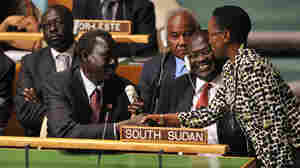 But Washington has yet to rule on the visa application by Omar al-Bashir, the Sudanese president who's been indicted on genocide charges by the International Criminal Court. 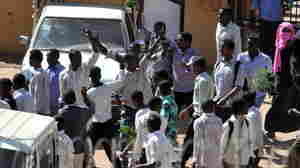 December 10, 2012  The demonstrators have been holding the protests in response to the deaths of four students, and some are also calling for the ouster of President Omar al-Bashir. May 27, 2011  "They are sleeping under the trees. 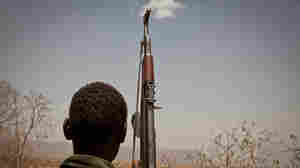 They need food and water ... some people are dying," a local official tells Reuters. 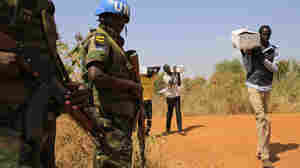 Soldiers from the north Sudanese army have seized the disputed Abyei region, which many in the south claim as their own. 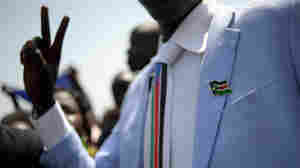 February 7, 2011  More than 98 percent of the ballots were cast "for" creating a new nation. January 7, 2011  It faces huge challenges and there's the potential for violence, but diplomats are optimistic that things will go smoothly. 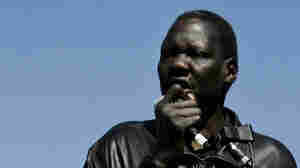 November 21, 2007  Darfur returns to the big screen, with the documentary treatment, in Darfur Now.